I have a complex fascia consisting of a 1x4 over a 1x6 over a 2x8 in a stepped fashion. We have some rot issues in some locations. With one of the worst offenders, I had to replace a 16 foot area of fascia which was no easy task as the drip edge was nailed to the 1x4 through the osb roof sheathing and the corner bevel/miters were difficult to make perfect. Elsewhere around the house, there are a few pieces rotted but none as bad, mostly either the 1x4 or the bottom of the 2x8 in max 2-4 foot sections. As I really don't want to replace all this wood I was thinking of doing a dutchman patch in these areas using my multitool to remove the rotted material. However, I was wondering if there was some sort of putty I could use to fill rather large areas that are rotted after removing the rot. The material would have to be rather stiff so it could be formed rather deep (3/4 inch) and sticky so that it could adhere to the wood. I was thinking of kitty hair, however, other suggestions are welcome. Spackle and wood filler wouldn't work. This question came from our site for professional and amateur woodworkers. 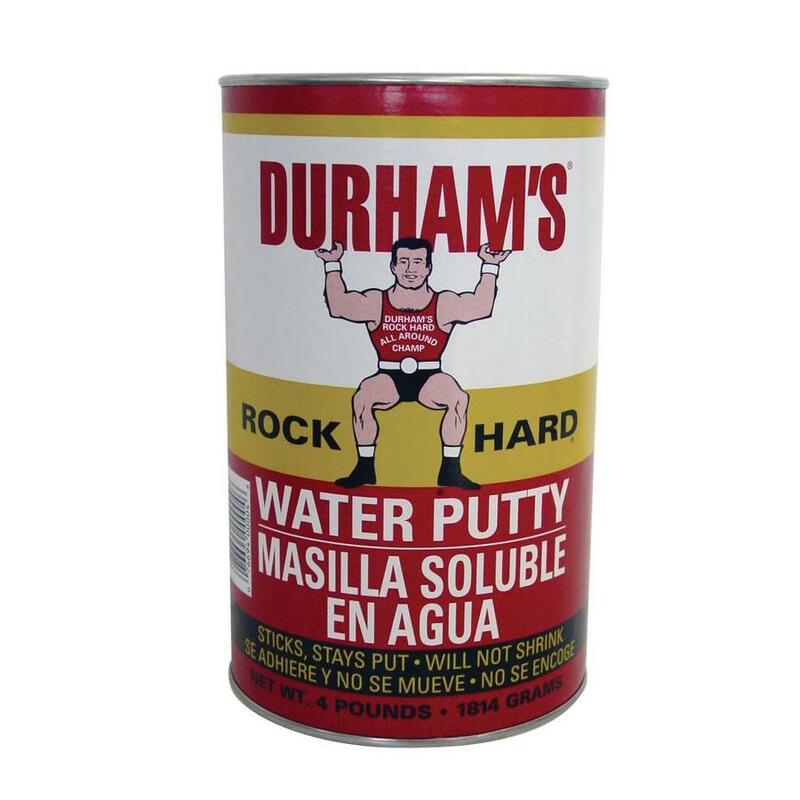 Durham's Rock Hard Water Putty is a great product. You can mix it as thick as you like using water. It sticks well, but can still be formed. Dries super hard relatively quick. Easy clean up and can be sanded and painted. The best part is that it doesn't shrink. Drill out the rotten part, apply some wood filler at the edges. It can be treated with wood hardener, avaible at most big box hardware ans paint stores. Fill the voids auto body filler (Bondo) to fill voids. Not the answer you're looking for? Browse other questions tagged wood trim or ask your own question. How to reattach front door rain deflector? Does thining wood filler make it crack when drying? How can I repair this rotted section of wood siding? Will 1x4's and 1x6's be enough for an aquarium stand? hardwood floor hole susceptible to wood filler?